The Battle of Culloden in 1746 marked the end of the Jacobite uprising and the attempt by Bonnie Prince Charlie to claim the throne of Britain for the Stuart monarchy. 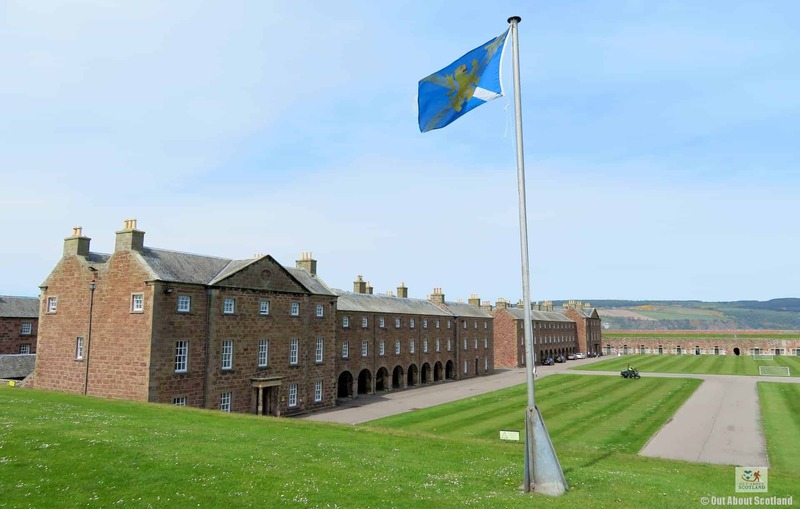 It was also the catalyst for the creation of one of the grandest fortifications in the whole of Europe, the magnificent Fort George near Inverness. 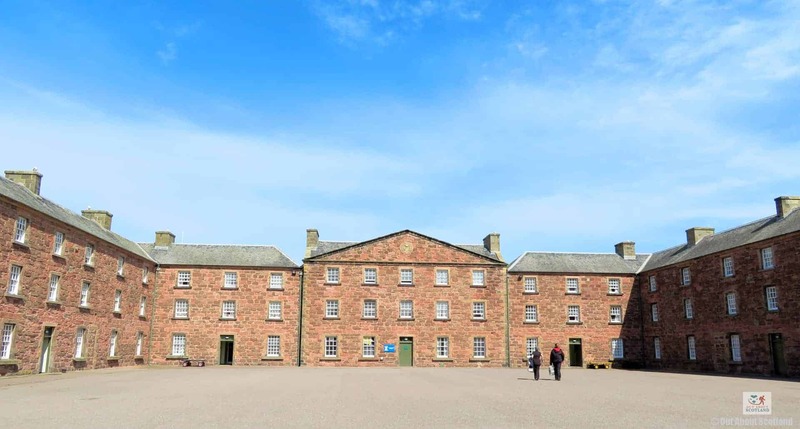 This mighty army barracks took a full 22 years to build and was originally intended to be a secure base for King George II’s army after Culloden, but by the time the building works were completed the threat from the Jacobites had all but disappeared. 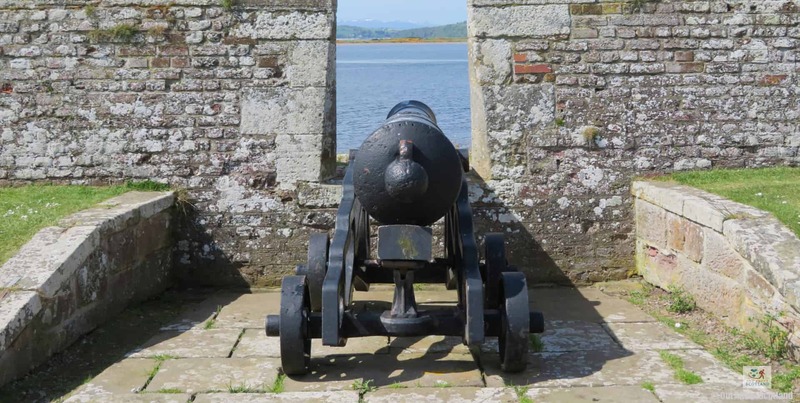 Even so, the fort remained an important defensive position for the British army for the following 250 years, and it’s still in use as a military base today. It’s impossible not to be impressed by the scale of Fort George. Upon entering the site you’re confronted with mammoth defensive walls that ring an exceptionally deep and wide trench that would have been almost impossible to breach by invading armies. 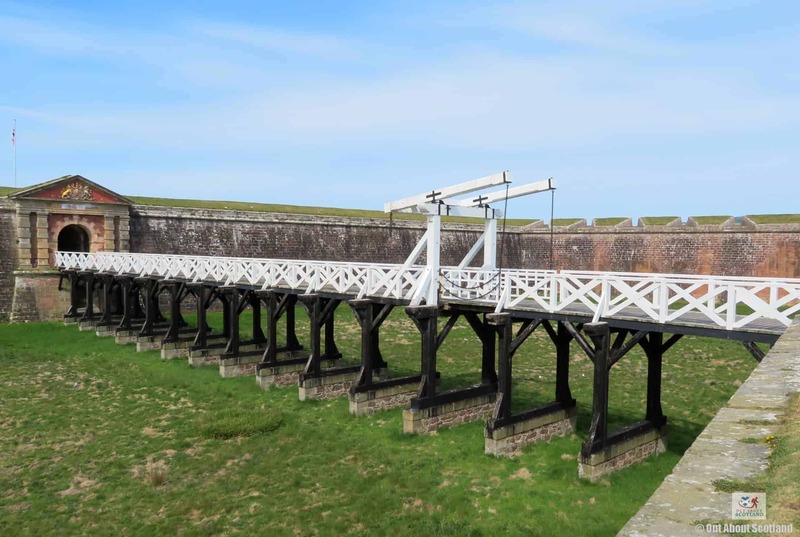 Amazingly, these defensive walls are over a kilometre in length and enclose an area the size of five football pitches! Pass through the killing gates (where enemy soldiers would have been trapped and fired upon from all angles) and you enter the main courtyard where a series of impossibly neat barrack blocks face a beautifully manicured lawn area. 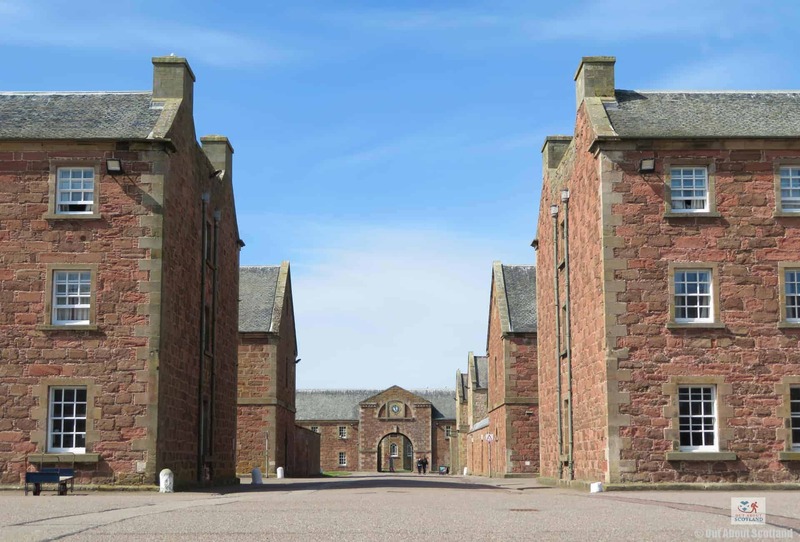 It’s all too easy to imagine the training and exercise that countless soldiers would have performed there over the last 250 years, and moving forward between the regimental buildings will open up plenty of other unexpected surprises. 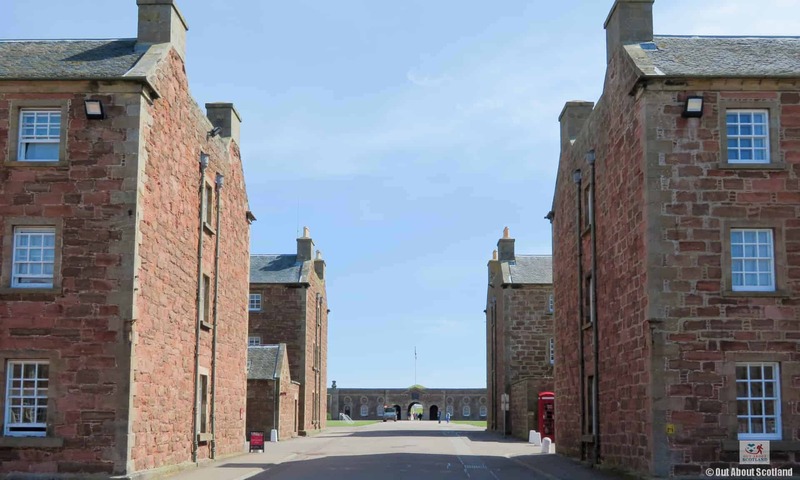 To one side you’ll see the grand magazine, originally designed to hold nearly 3,000 gunpowder barrels but which is now home to one of the finest collections of weaponry in Scotland. 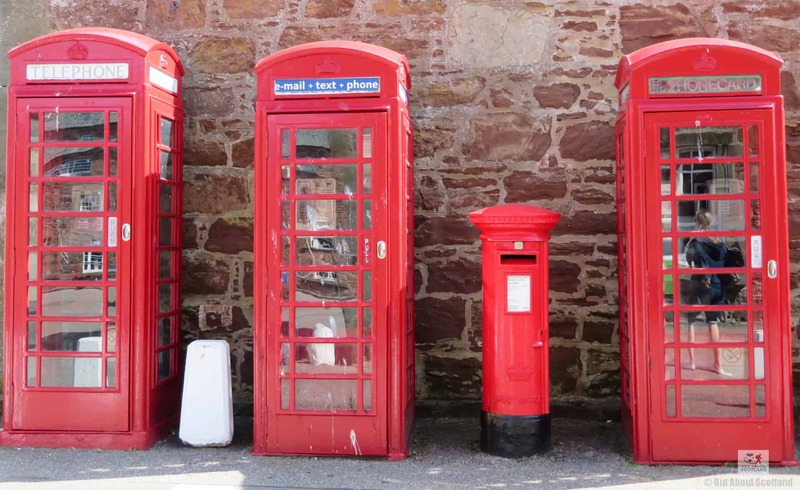 To the other, you’ll find the Highlanders Museum, the second largest regimental museum in Scotland after the National War Museum at Edinburgh Castle. 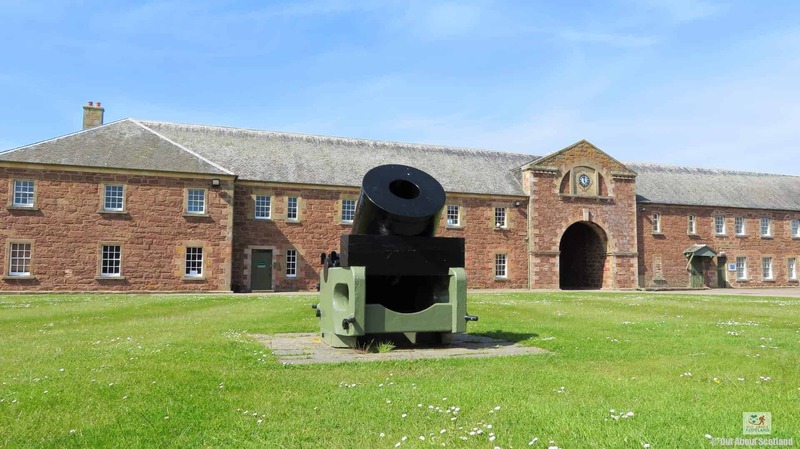 Continue exploring the fort and you’ll find the barrack rooms with their recreations of 200-year old soldiers quarters, while the far end of Fort George opens up to the garrison chapel and one of only two dog cemeteries in Scotland (built as the final resting place for the regimental mascots). 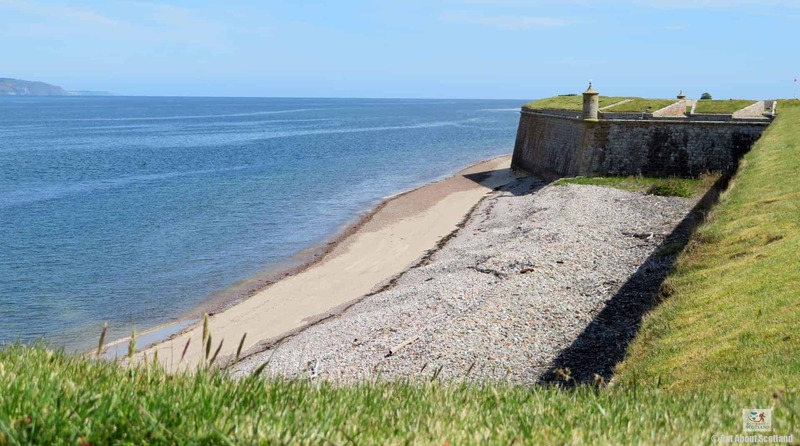 It’s here at the ramparts surrounding the chapel where you’ll be able to take in some of the best views of your visit to Fort George, with the Moray Firth opening up before you where if you’re lucky you’ll get to see dolphins swimming close to the shoreline. 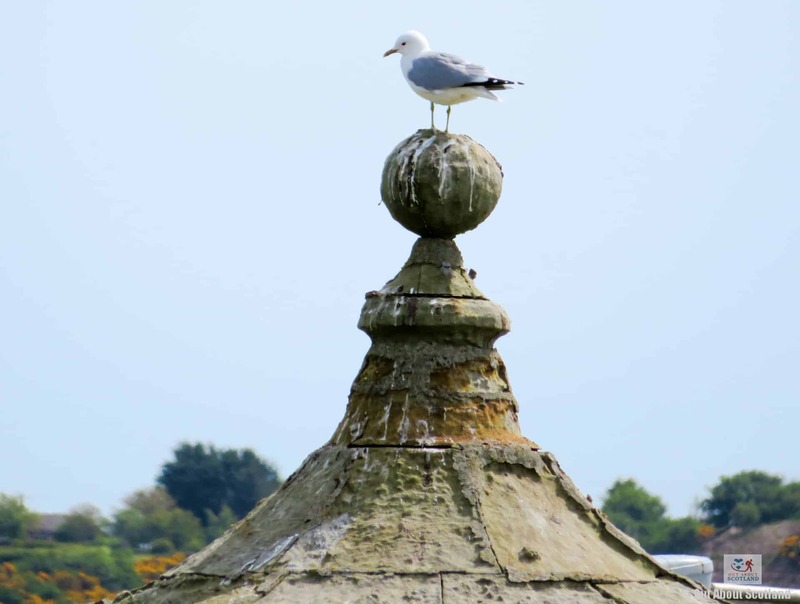 Luckily for visitors there are plenty of opportunities to relax while they’re exploring thanks to the facilities installed by the fort’s managers, Historic Environment Scotland. A picnic area and cafe will allow tired feet to take a rest, while the well-stocked gift shop will offer plenty of opportunities to find the perfect souvenir of your visit. 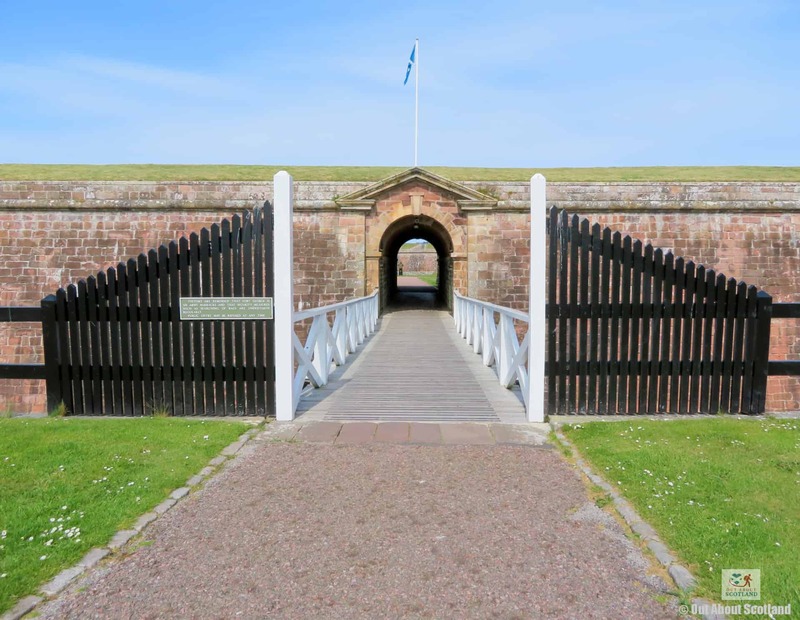 The drawbridge and dry moat make Fort George almost impossible to attack. The barrack blocks and cafe can be found down the central road. 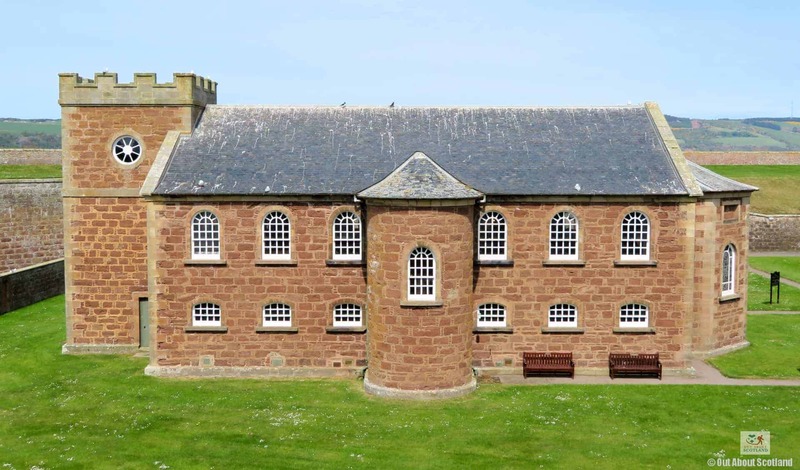 Many of the military buildings at Fort George are still in use by the British Army. 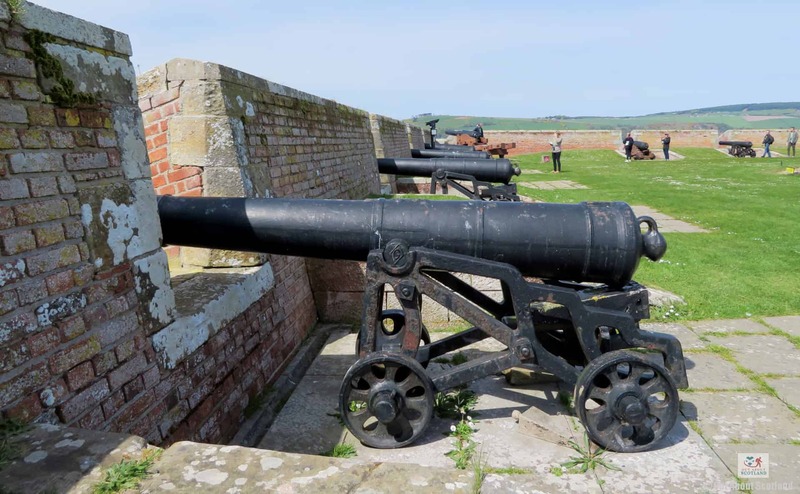 An impressive example of an 18th-century cannon can be seen opposite the cafe. 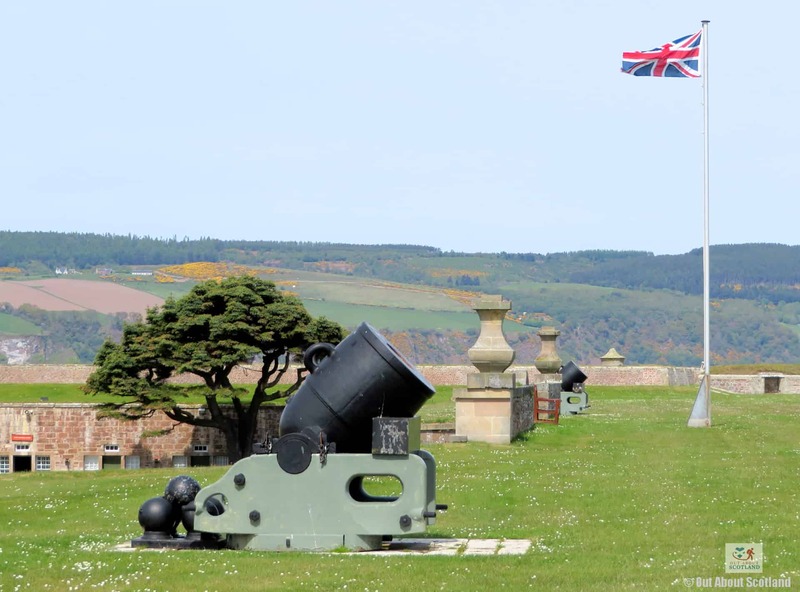 The cannon battery kept Fort George safe from attack by sea. There are gorgeous views from the cannon battery. Keep an eye open for dolphins swimming nearby. The military chapel is open to visitors and is well worth a look. The barrack blocks and museum. The barrack blocks and museum. 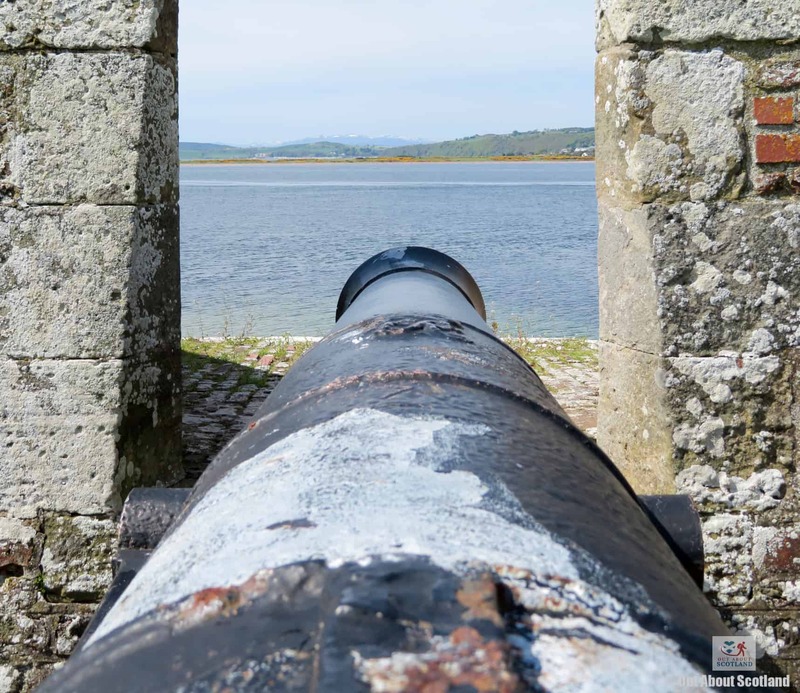 The chapel and cannon battery are ahead. There is a sandy beach all the way around Fort George. It's a great place for dolphin watching!